Critical controversy has been a feature of Eliot’s literary legacy. This chapter considers different critical responses to her work by three of her major critics. Barbara Hardy defended the form of her novels in the face of objections, notably by Henry James. She had relatively little interest in Eliot as intellectual, even questioning whether Eliot’s agnosticism is clear-cut. Felicia Bonaparte in contrast sees Eliot as a writer whose mind was shaped by science and rationalism but believes there is conflict with her moral agenda. J. Hillis Miller reads Eliot as a proto-deconstructionist and concentrates particularly on the role of metaphors in her literary discourse. 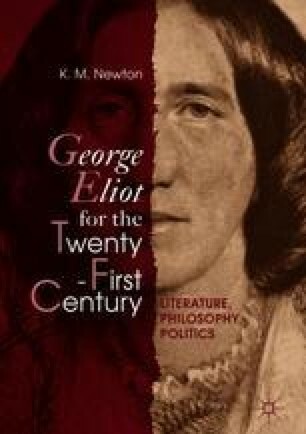 Though all have made valuable contributions to Eliot criticism, the chapter addresses certain problems with all of their positions.